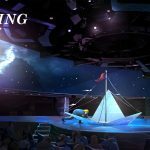 SYMA – Sail Beyond Imagination takes viewers on the epic journey of a young sailor, brimming with imagination. On this bold expedition, he braves the elements, plunges into troubled waters and discovers the mysterious island of his dreams, populated by surreal, and colorful creatures. We all carry our own imaginary island inside of us, so what are you waiting for? SYMA awaits. 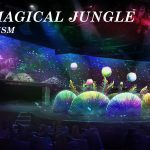 Immersive video images, an original set design, bioluminescent lighting and acrobatic feats make SYMA an unforgettable show. 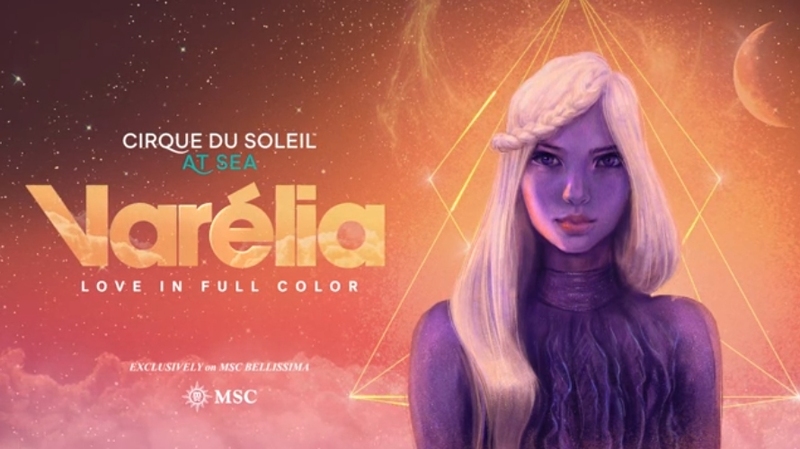 VARÉLIA – Love in Full Color puts a futuristic twist on a traditional medieval tale. It traces the arduous course of an unconventional courtship between a princess with distinctive violet skin and a charming hero who is blind. Their budding romance is thwarted by a villain who, in a fit of madness, kidnaps the royal. With the help of his friends, the brave young hero formulates a plan to rescue his beloved. Delight in the acrobatic feats, the laser show and the unique set design of this futuristic medieval tale. 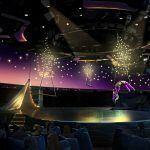 The Carousel Lounge is a purpose-built entertainment venue hosting just over 400 guests each night and specially designed for the needs of the Cirque du Soleil at Sea artists. 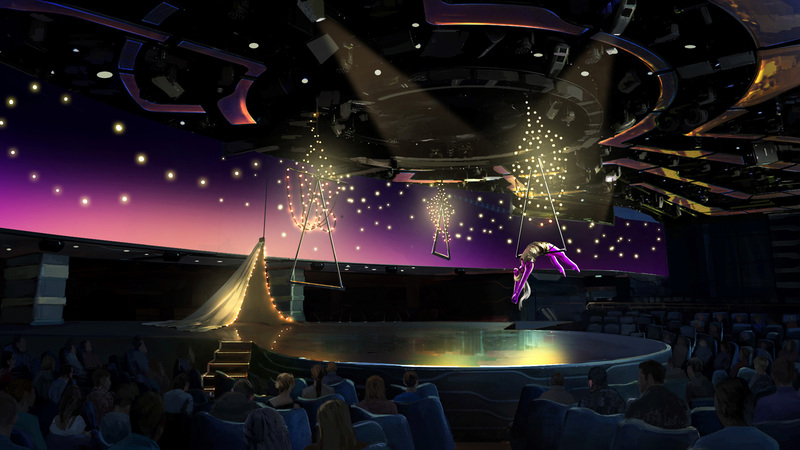 Creating an immersive and intimate spectacle for MSC Cruises guests, the space allows viewers to fully connect with the artists. With an investment of €20 million each (approx. $22.7MM USD), the lounge features state-of-the-art technology and high specification technical features to deliver an exceptional and memorable entertainment experience for guests. The 360° rotating stage is set in the middle of the lounge with seating all around to maximize the viewing experience. 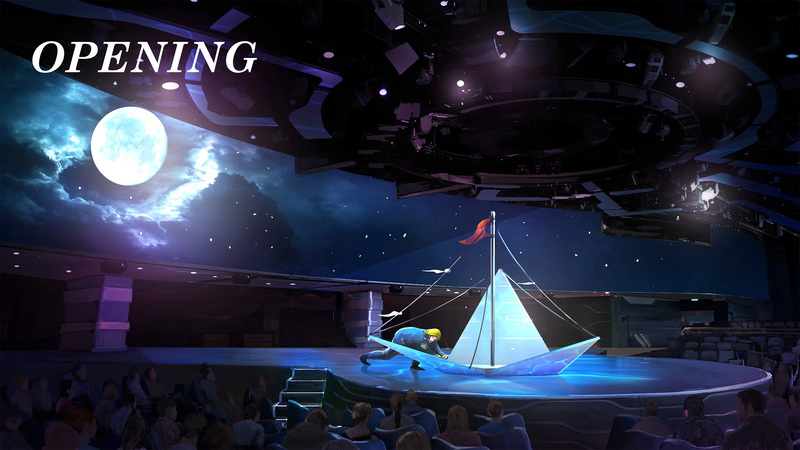 The central stage also rotates, meaning guests can see the action from different angles during every performance. Another important element to the impressive stage layout is a 131-ft.-long LED screen, which is integral to each show and creates an immersive performance. Cirque du Soleil performances are renowned for their aerial acts, and special rigging has been developed on board to enable the artists to perform their impressive aerial acrobatics. 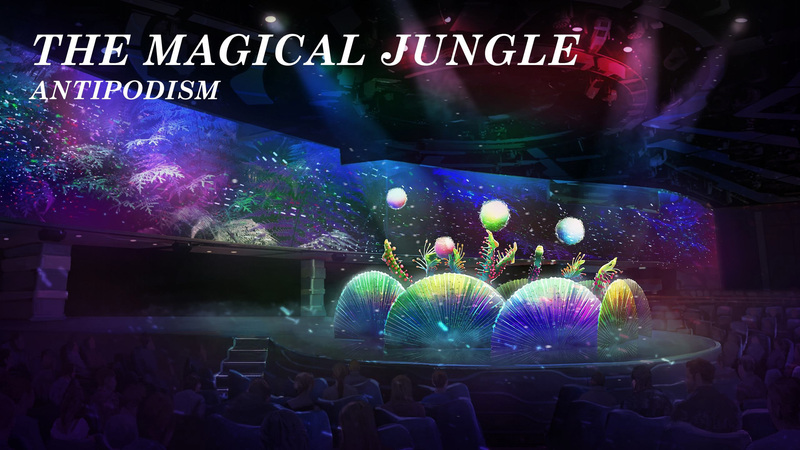 The shows on board MSC Bellissima will feature additional new and exciting special effects and features. Positioned at the aft of the ship on deck 7, the Carousel Lounge offers stunning views of the ocean. Guests can enjoy the beautiful views and pre-show entertainment while having dinner or sipping a cocktail before the performance starts. 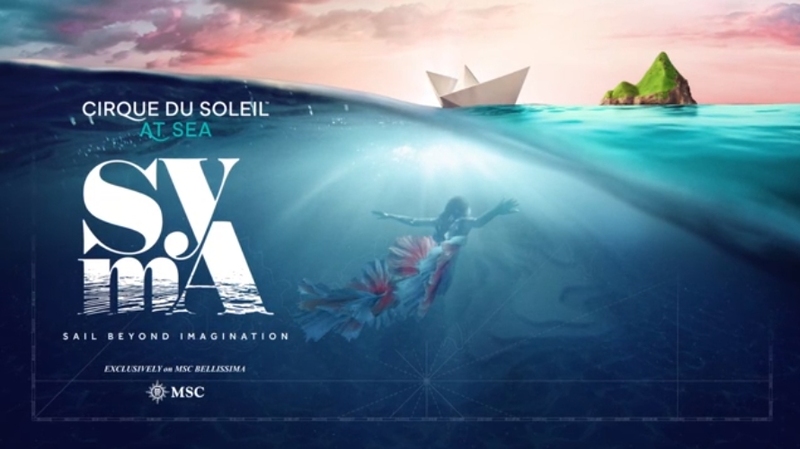 The artists for the new shows have now been cast and, after training at Cirque du Soleil Headquarters in Montreal, Canada, the team will soon embark on board MSC Bellissima where final preparations will be underway. All of the artists have been carefully selected for their special performance skills and the specific needs of the two shows. The performers have also been trained to the high standards required of Cirque du Soleil performers. Cirque du Soleil at Sea is a pre-booked experience for guests with competitive rates and can be booked in advance, or on board during the cruise, if availability allows. Guests can either book to enjoy a three-course menu of palate-pleasing dishes served before the show ($39). Or sip on a specialty cocktail ($17) and enjoy the pre-show that begins 30 minutes before the start of the Cirque du Soleil at Sea performance.